Mississippi is a southern state with the Mississippi River defining its eastern border and Alabama to the west. The Gulf of Mexico borders the south of the state, and Mississippi is home to just under three million people. Known as the birthplace of the Blues, Mississippi maintains the Delta Blues Museum and preserves some sites from the Civil War at the Vicksburg National Military Park. Mississippi has a relatively low rate of drug overdose deaths, but it is the most unhealthy state in the nation due to high cardiovascular deaths, child poverty rates, and high prevalence of smoking. In fact, the Behavioral Health Barometer, published by the Substance Abuse and Mental Health Services Administration (SAMHSA) reports that smoking among adolescents has been consistently above the national average. Additionally, the perception of no great risk from smoking one or more packs of cigarettes has remained considerably higher than the national average among twelve- to seventeen-year-olds in Mississippi. The report further shows that serious mental illness is similar to but higher than the national average among Mississippi adults eighteen and older. 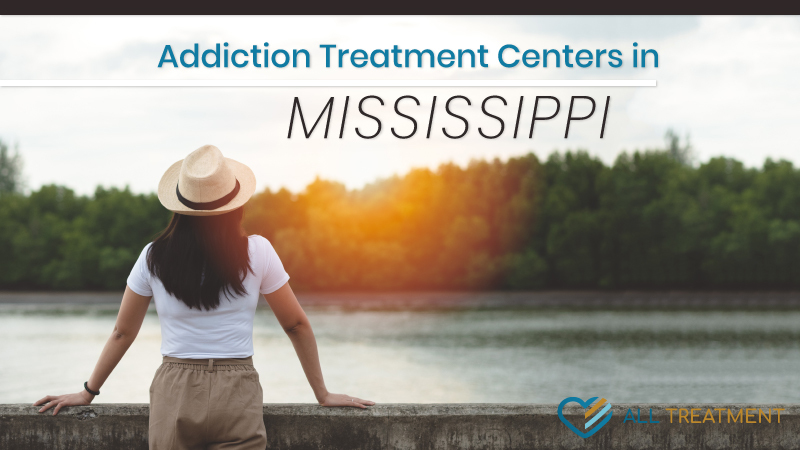 Also similar to the national average is the 34 percent of Mississippi residents who needed and did receive some form of mental health treatment. The opioid overdose death rate in Mississippi was 6.2 deaths per 100,000 people in 2016, less than half the national average of 13.3 deaths per 100,000 people. Although the state did see an increase in overdose deaths from prescription opioids, heroin, and synthetic opioids like fentanyl, the increases were not significant enough to launch the state into an opioid crisis. Contrary to the comparatively low overdose death rate in 2016, Mississippi providers wrote 107.5 opioid prescriptions for every 100 people, well above the national average of 70.0 per 100 people for the same year. In 2016, there were 4,823 addiction treatment admissions, and according to the Treatment Episode Data Set (TEDS), fewer than 750 of the admissions were for heroin or opioid substance abuse. The majority of treatment admissions were for alcohol as the primary or secondary substance of abuse, accounting for about 1,500 of the total admissions.